"Valve Adds Curated Lists To Steam, Will This Fix Discovery Issues Steam Has? " Valve has announced a large new update for Steam. Part of that update will allow players to become curators of the digital gaming service. These curators will need to have met certain requirements, before they can make a list. This list will be made up of games they like and enjoy. Players can follow different curators and buy games directly from the curator’s list. Steam Curation seems to be a way to solve one of Steam’s biggest issues, discovery. Being able to find new games, that users might enjoy and purchase, has become a bigger and bigger issue as Steam has grown larger and larger. Steam has thousands of games. Every day Steam receives new games, tons of new games. It has turned into a nightmare to try to cover new Steam games. For Steam users, it has become a messy, overstuffed and disorganized storefront that, is constantly growing. Steam Curation seems like a way to fix this. But Steam Curation isn't a way to fix the "discovery problem." Instead, what Valve has done is push the problem onto its customers and fans. Youtube personalities, Let’s Players and Press seem to be the most popular lists, having the most followers. Valve has put the responsibility of creating a list of cool, noteworthy games onto these popular people and groups.They have also opened up some nasty possibilities. Some of which seem to be happening already. It wasn’t long ago that we saw Youtubers get in hot water over paid endorsements and not disclosing them in a sufficient manner. 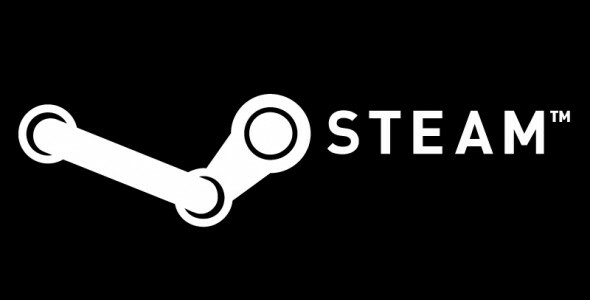 Now Youtubers will have thousands of Steam users following them and using their list as a way to buy a game. I wouldn’t be surprised if a few publishers out there are looking at the most followed lists and wondering how to get their game on these lists. Paying Youtubers could be a great way to ensure your new game sits atop the most popular Steam Curation lists. Hopefully they will disclose that information, if it happens. But if they don't what will Valve do? How will Valve handle some less than savory uses of their new Curator List system. Well, Valve has commented on these fears and basically said, “uh..we will watch closely and make sure it doesn't happen. We promise.” It's not only that I don't trust Valve, I don't trust any large company to be fair. It's the fact that, the response that Valve gave to Kotaku just felt like a mix of "Hey this is still early, hold on." and "We might not be able to do...anything..??" Which makes me worried. How will these lists will be policed in the coming weeks and months? This isn't the first time Valve has pushed Steam’s problems onto it's users. When players and developers started to complain about getting games onto Steam and how much of a hassle it could be, Valve created Greenlight. Greenlight is a system which asks Valve’s users to look at games that want to be on Steam and decide yes or no. If a game gets enough support, Valve puts it on Steam. The system has been criticized and with the latest update it seems Valve has pushed Greenlight behind the curtain a bit more. Which seems to make sense. Gabe Newell has explained that Valve is looking to discontinue Greenlight at some point. Steam is usually a wonderful service. Low prices, frequent sales, lots of social options, tons of games to buy and sensible DRM has made Steam quite popular. Insanely popular. Sadly, Valve seems to be unsure of how to make Steam work better. Specifically, when it comes to discovering new games and creating a Steam store that’s easier to use. In fairness to Valve, with this new update they have also added a new "Discovery Queue." 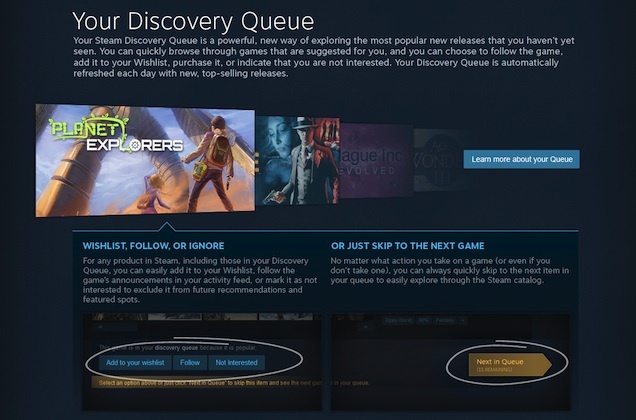 This new discovery queue will allow users to flip through games quickly. They can add the game to their wishlist, say they aren't interested, or skip it. It’s a nice addition but, it seems to rely on sales and Steam tags, which for newer and/or lesser known games doesn’t help. 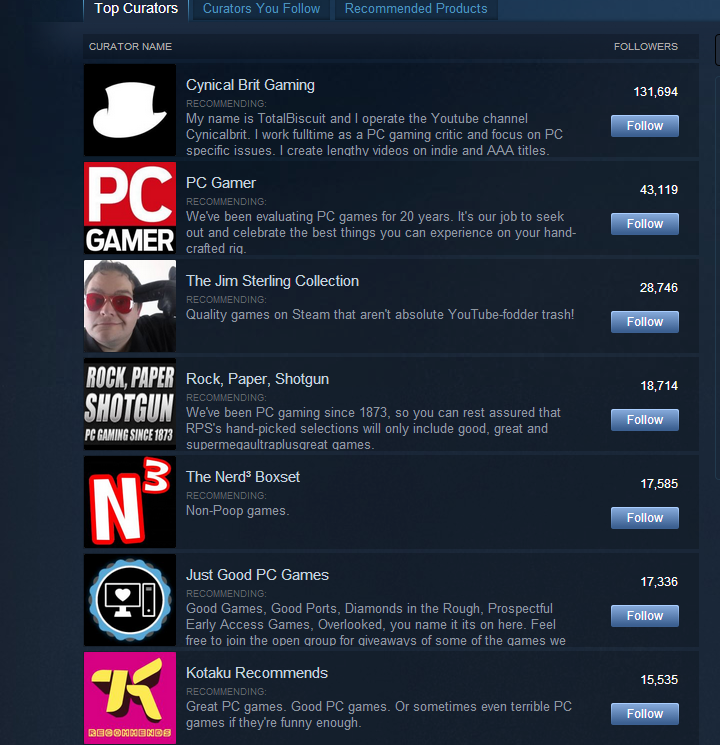 I do like the idea behind Steam Curators. The lists look nice and I like the ability for curators to add personal descriptions to the entries on their list. If the Curation program is monitored and used correctly, it could be a great way for people to discover new games. It could also make some games, older games or smaller games, fall through the cracks even more. Users who take advantage of the Steam Curator lists are more likely to be active purchasers. Now these active purchasers are all following the same lists. This could lead to a situation where smaller games end up selling even less, while the active buyers of Steam rely on curated lists. Steam Curators seems to be Valve trying to fix some of the discovery issues. And like Greenlight before it, it ends up pushing the problem on to users and players. Valve almost seems like they are afraid of or incapable of handling the responsibility that curating the store would bring. Which seems odd. Valve is a company who seems willing to take risks. They are working on all sorts of weird and out-there ideas, like a Steam console and VR. [caption id="attachment_45897" align="aligncenter" width="600"] The Original Steam Controller Design[/caption] I hope Steam Curator lists are just the beginning of Valve taking steps to make their popular digital store more accessible and easy to use. Making it easier to discover games and share those games with others. Hopefully, Valve won’t just pass the problem onto users and leave it there.